An irresistible festive treat from million-copy bestseller Amanda Prowse. 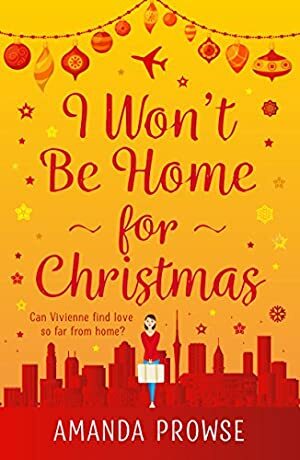 While her free-spirited daughter travels the world, Vivienne prepares for a lonely Christmas in Bristol, with her best friend Ellen and her ancient dog Bob. Then a letter arrives that changes everything. Vivienne's daughter is getting married in New Zealand, and she wants her mum and Ellen by her side. But out on the rugged coast of Tutukaka, the sea sparkles, romance beckons - and Vivienne falls under the spell of another life. Will she leave everything she holds dear for a chance at happiness? Or will her daughter be the only one to fall in love this Christmas? 'A festive treat... If you love Jojo Moyes and Freya North, you'll love this. There's no shortage of books with Christmas in the title, but this family-focused story stands out from the rest' CLOSER. 'A lively romance with emotional depth' MY WEEKLY. 'A heartwarming novel to read in the run-up to Christmas - hot, balmy beaches to herald the festive season on one side of the world, and light dustings of snow on the other side' TRIPFICTION. 'A sweet, humorous snapshot of a romance... will elicit a sigh and a smile' NEW YORK JOURNAL OF BOOKS. We started tracking this book on March 18, 2016. This book was £7.59 when we started tracking it. The price of this book has changed 44 times in the past 1,126 days. The current price of this book is £2.99 last checked 3 hours ago. The lowest price to date was £0.98 last reached on December 20, 2016. The highest price to date was £7.59 last reached on March 18, 2016. We last verified the price of this book about 3 hours ago. At that time, the price was £2.99. This price is subject to change. The price displayed on the Amazon.co.uk website at the time of purchase is the price you will pay for this book. Please confirm the price before making any purchases.